With CASIA2, the light source of coherency functions is improved, and higher sensibility toward depth is realized compared to our former model. By using this new technology, it is possible to measure to a depth of 13mm from anterior cornea to posterior lens with one shot. 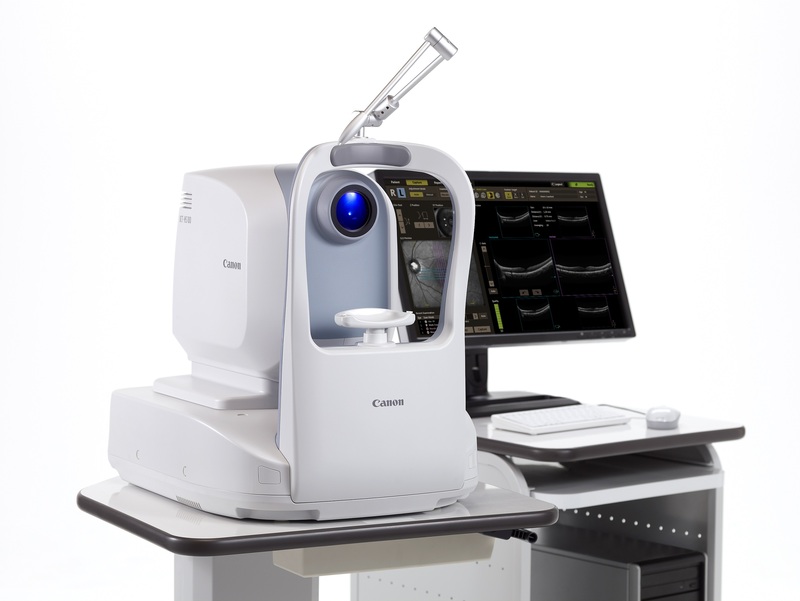 Capturing images around the angle is possible in corneal topography mode. 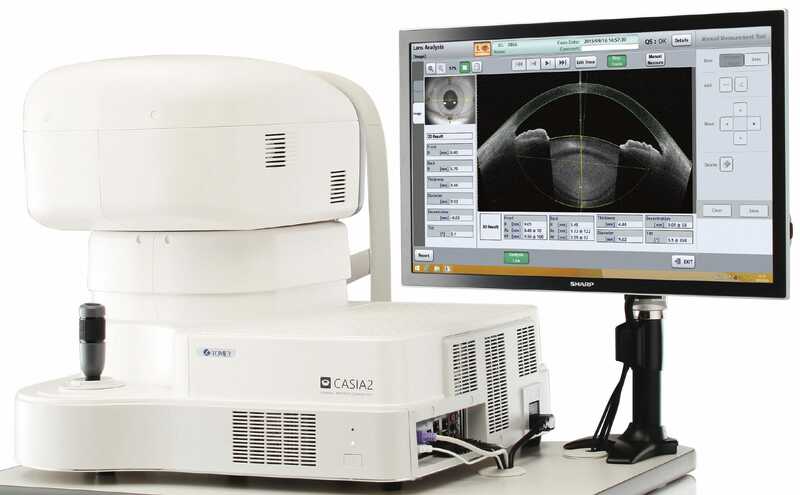 As with corneal shape analysis, it is possible to extract and analyze the angle and observe the IOL, which enables testing without switching measuring modes. *For lens shape measurement, LensBiometry capture is necessary. By scanning 16 images simultaneously, clearer images are obtained. The testing application for cataract surgery, CICS, is installed in the CASIA2, which effectively supports cataract surgery. “Pre-op testing” and “Post-op testing”. To use their functions, capture the image within each testing protocol. The color code map shows parameter changes of each corneal shape. Additionally, the simplicity of the graph means information is instinctively easy to grasp making this analysis useful for observing the keratoconus. While capturing anterior cornea to posterior lens, it is possible to measure corneal curvature, thickness and tilt of the anterior / posterior lens.